Glass or Quartz Rod Diameter: 0.080"
Note: The head and cable must be calibrated as a pair, so order the Head and cable at the same time. 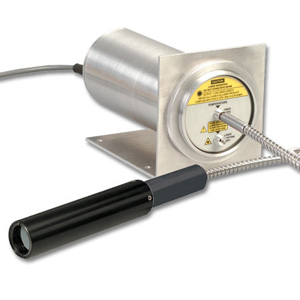 Read the High Speed Fiber Optic Infrared Transmitter Article for additional information. Note: Transmitter and Cable must Calibrated as a pair so order cable at the same time as the Transmitter. * When ordering vacuum bushing, please specify the fiber cable length on both sides of the bushing.